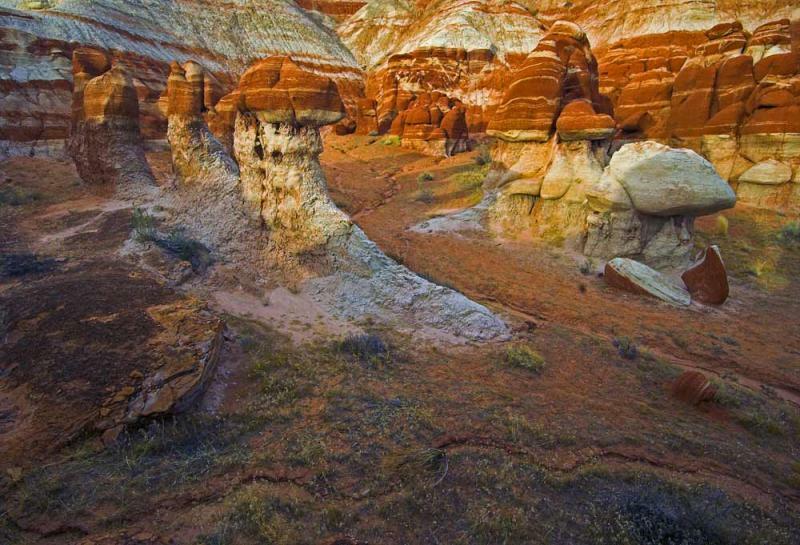 The main hoodoo in the left center of the image is about 20 ot 25 fee tall - but does not appear that large. I was up on the side of an embankment about 20 feet (this time I did not fall ;-) when I took this shot. The whole area was enclosed about 270 degrees with an opening at one end, just to the right of this image. this is a very beautifull photo.the light ,color and the composition are superb.. great shot Fred. Looks like alien craftwork. Stunning image!